Pope County is a county located in the state of Illinois. 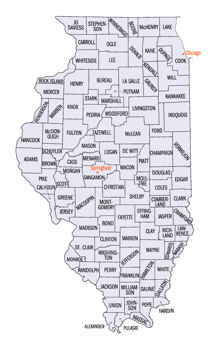 According to the 2010 census, it had a population of 4,470, making it the second-least populous county in Illinois. 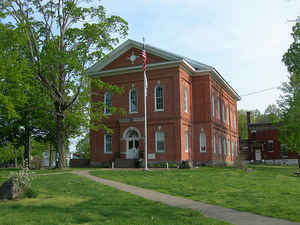 The county was created in 1816. The county seat is Golconda. Pope county is named after Nathaniel Pope, a Secretary of the Illinois Territory. The county is named after Nathaniel Pope, first territorial Secretary of State (1809-1816). Pope County was created on January 10, 1816 (Territorial Laws, 1815-1816, p. 66) and was formed from Gallatin and Johnson Counties. Present area, or parts of it, formerly included in: Gallatin County (1812-1816), Randolph County (1801-1812), Johnson County (1812-1816) and Knox, Northwest Territory (1790-1801). The County was named for Nathaniel Pope, first Territorial Secretary of State (1809-1816), and last Territorial Delegate to Congress from Illinois.. The County Seat is Golconda. Prior County Seats was Sarahsville- Name changed to Golconda on June 24, 1817 (1816-1817) and Golconda (1817-Present). As reported by the Census Bureau, the county has a total area of 375 square miles (970 km2), of which, 371 square miles (961 km2) of it is land and 4 square miles (10 km2) of it (1.01%) is water. Pope county is located in south Illinois. The entire county is hilly. 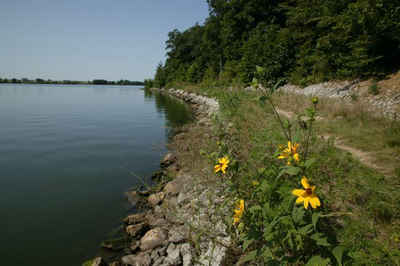 Dixon Springs State Park and Golconda Marina State Recreation Area are located in this county.